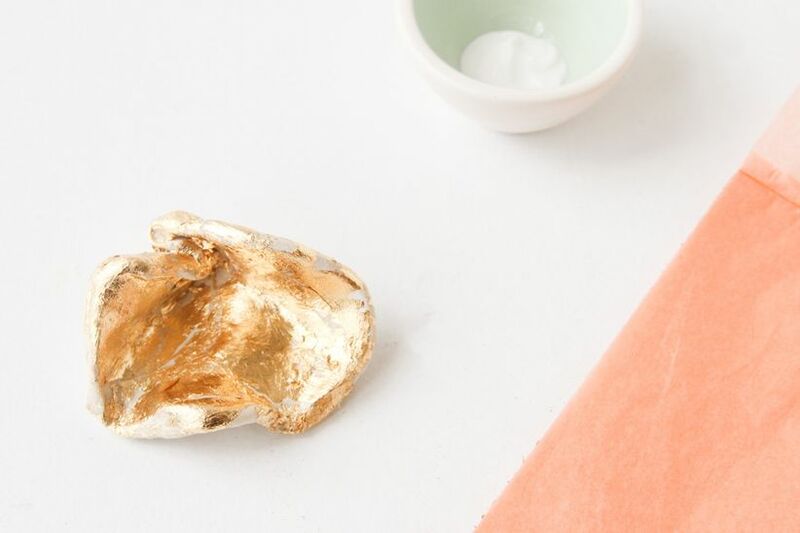 Brittni Mehlhoff of Paper & Stitch shows us how to create this gorgeous handmade ring dish using a simple gold leaf technique. 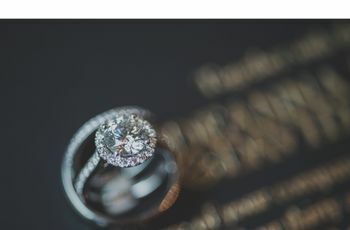 Our favorite way to keep wedding bling safe? 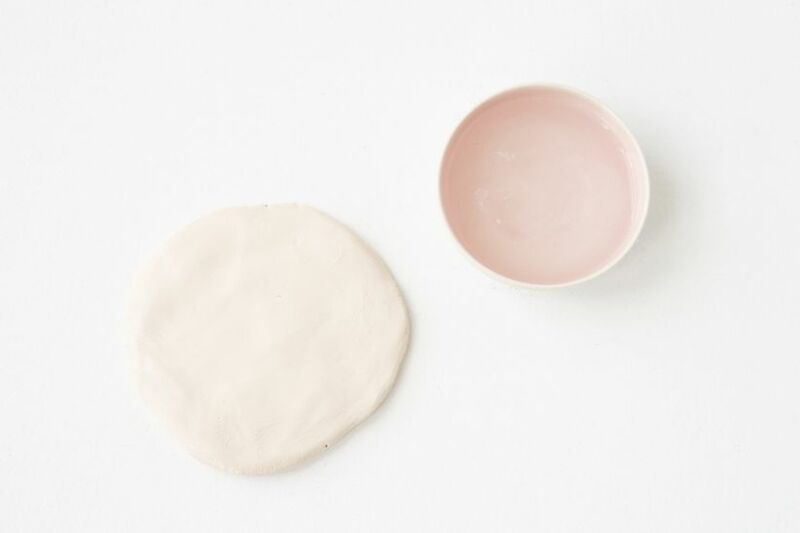 A chic ring dish, of course! 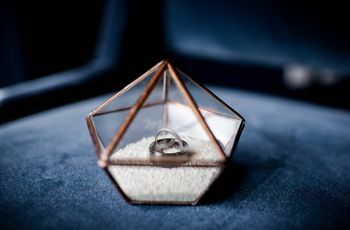 Use it as a catchall for your engagement ring and wedding bands or incorporate it into your ceremony in lieu of a ring pillow. 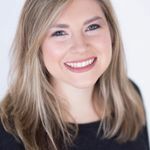 Brittni Mehlhoff of Paper & Stitch shows us how to create this gorgeous handmade ring dish using a simple gold leaf technique. 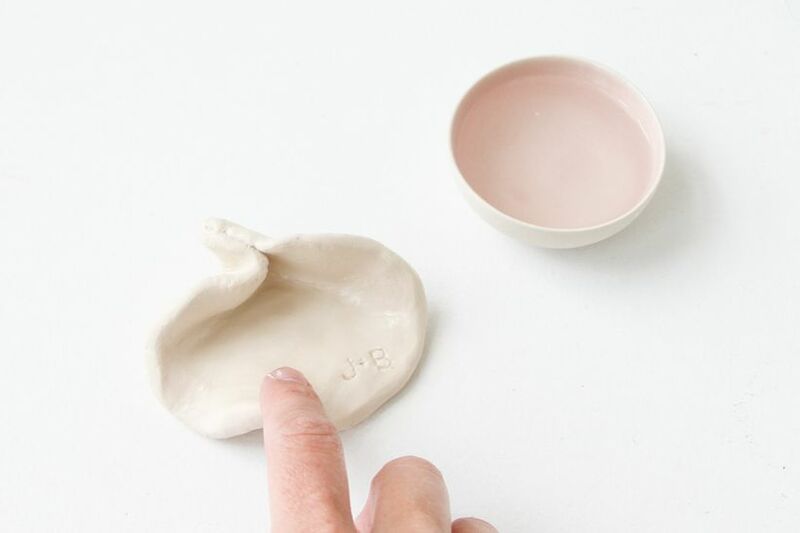 Just follow the steps below to figure out how to make this ring dish! PS. 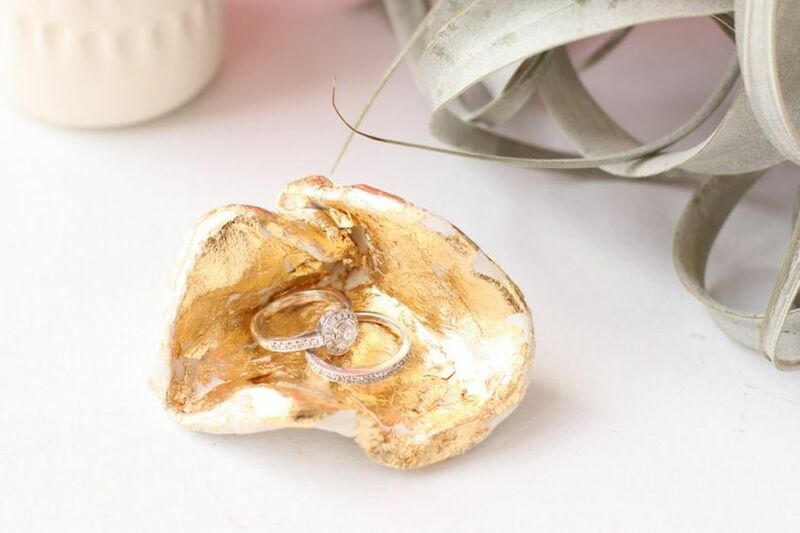 Bridesmaids and MOHs—we can’t think of a more perfect gift for your recently engaged or newlywed bestie! 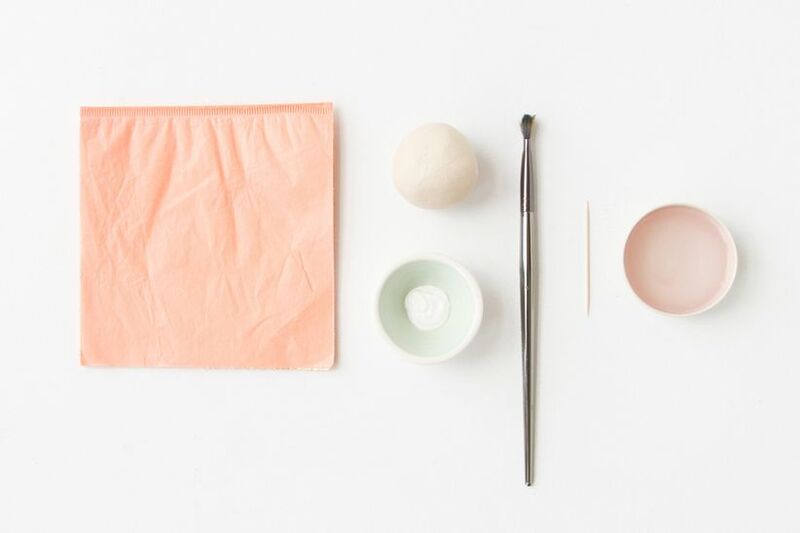 Step 1: Roll a ball of air dry clay and then flatten it with your hands (or a roller). The shape should resemble a flat circle. Step 2: Next, lift one area of the circle and pinch it in the back, as shown in the photo. 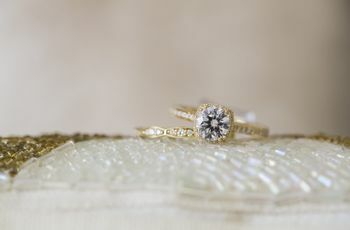 On the opposite side of the pinched area, feel free to add additional "waves" to create a more organic, natural shape (similar to a shell or flower). 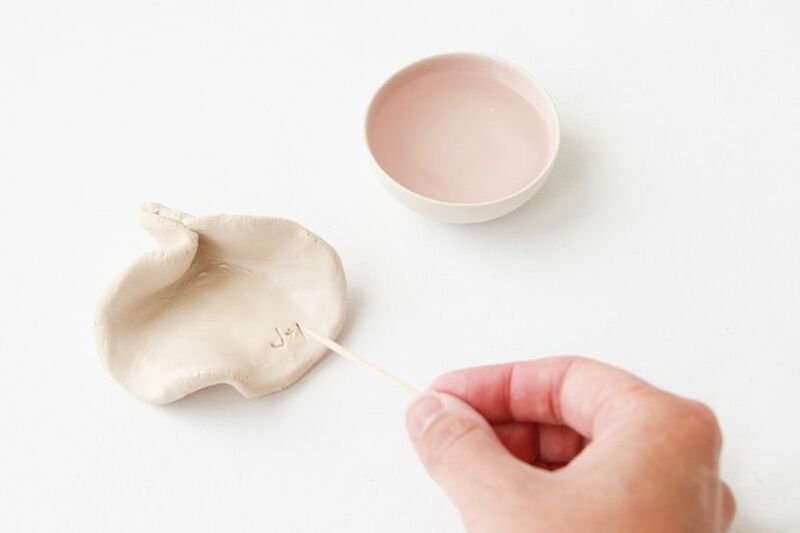 Step 3:(Optional): Using a toothpick, add a secret message, initials, or your wedding date to the inside of the dish. 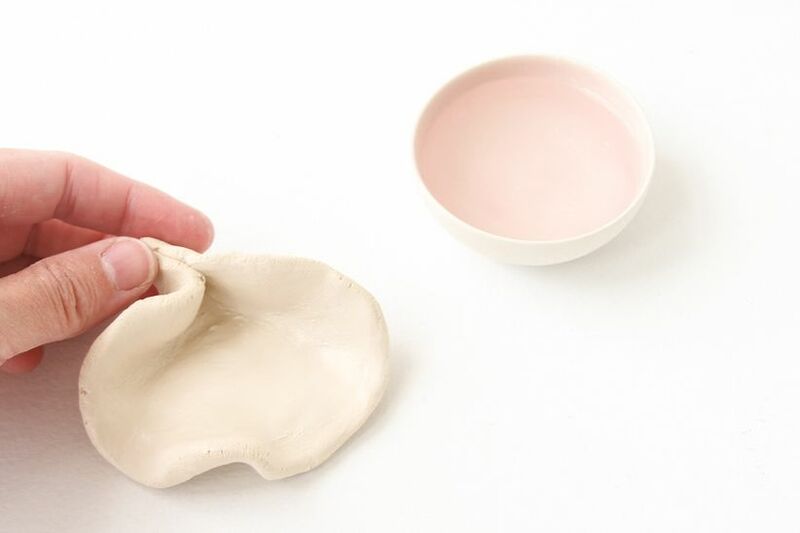 Step 4: Smooth over any rough, cracking areas in the clay using a little bit of water and your finger. Step 5: Wait for the clay to dry fully overnight (up to 24 hours, depending on the clay). 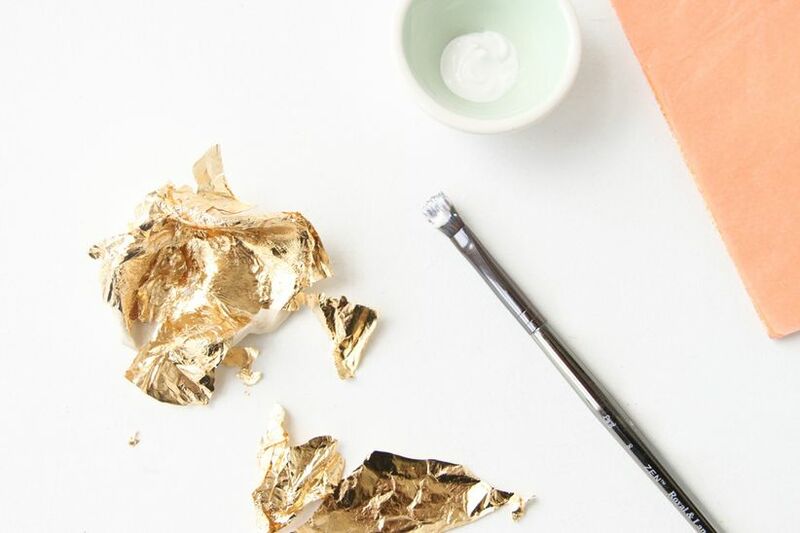 Then, cover the top of the dish with gold leaf adhesive, using a paint brush. Next, apply the gold leaf to the entire adhesive surface. Step 6: Remove excess gold after giving it some time to set a little bit. Add a sealer (if desired) and the dish is ready to be used. 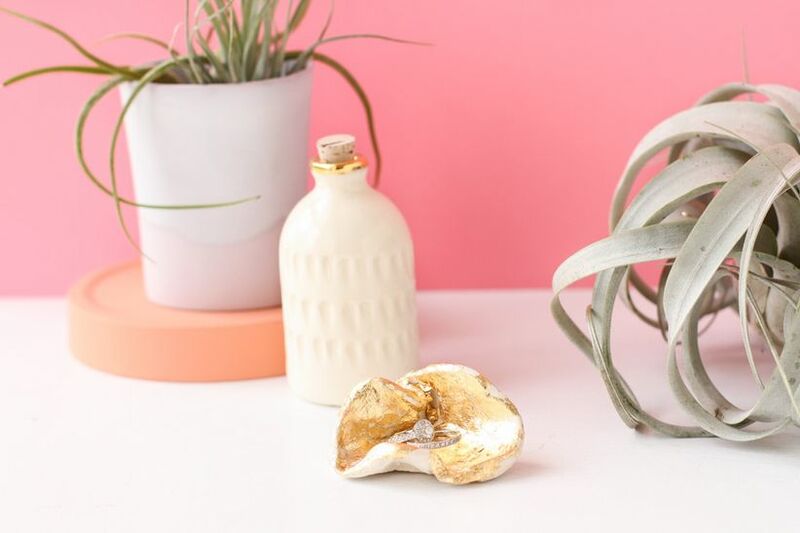 Note: There are areas that the gold leaf won't stick to the adhesive, which creates a more organic, less intentional finish. But if you'd prefer for the entire surface to be covered in gold, you can repeat steps 5 and 6 to those uncovered areas until you reach the desired look. Voilà—the finished product! Display in a prominent area like a dresser, nightstand, or counter so you can enjoy it every day.